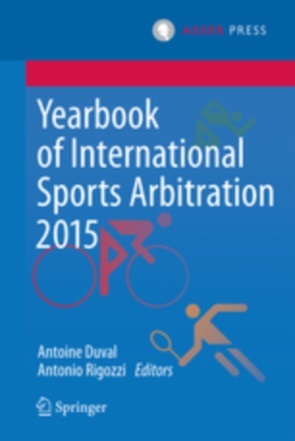 Asser International Sports Law Blog | The UN and the IOC: Beautiful friendship or Liaison Dangereuse? The IOC has trumpeted it worldwide as a « historical milestone »: the United Nations has recognised the sacrosanct autonomy of sport. Indeed, the Resolution A/69/L.5 (see the final draft) adopted by the General Assembly on 31 October states that it “supports the independence and autonomy of sport as well as the mission of the International Olympic Committee in leading the Olympic movement”. This is a logical conclusion to a year that has brought the two organisations closer than ever. In April, UN Secretary General Ban Ki-moon appointed former IOC President, Jacques Rogge, Special Envoy for Youth Refugees and Sport. At this occasion, the current IOC President, Thomas Bach, made an eloquent speech celebrating a “historic step forward to better accomplish our common mission for humanity” and a memorandum understanding was signed between the UN and the IOC. This is all sweet and well, but is there something new under the sun? As the IOC points out itself, it has always had a friendly institutional relationship with the UN. There is a good deal of solidarity of kin between the two transnational organisations. The UN has been keen on shoring up the Olympic truce. In fact, since 1993, it has adopted no less than 24 resolutions supporting sport (and the Olympic Games) as a means to promote education, health, development and peace. However, this year’s resolution goes beyond the previous resolutions. 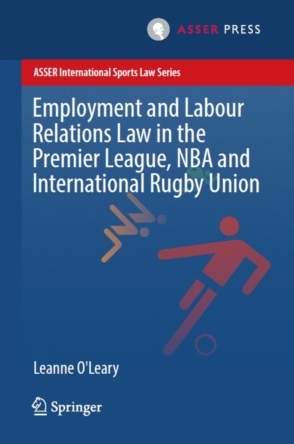 The text includes the usual references to the use of sport to foster peace and development, but it also celebrates in unequivocal terms the work and the autonomy of the Olympic movement. This is music to the IOC’s ears and resonates with its repeated calls on States to respect the autonomy of the “lex olympica”. The IOC has already stretched the interpretation of the resolution and claims “boycotts are incompatible with this UN request for respect of the values of sport”. Nevertheless, one must keep her feet on legal earth. This resolution by the General Assembly (GA) has no legally binding value on the UN Member States, it is merely encouraging them to act upon it. International legal scholars have endlessly debated the potential legal effects of UN resolutions, and they agree on one thing: Resolutions by the GA are not per se legally binding. To be so, they must be capable of creating obligations on their addressees, or recognized as customary international law, both very unlikely in our case. Thus, this resolution should be interpreted as a declaration of friendship, which could have a practical impact (or not) on the work of national courts, depending on their willingness to acknowledge the UN resolution. In practice, it is just another sign (after the UEFA-EU arrangement) that international organisations tend to side politically (and usually uncritically) with the IOCs of this world. Being good friends with the IOC guarantees good shots of the UN Secretary General holding the torch, but it might not be in the best interest of the UN, nor of the world’s citizens. The Olympic Games’ capacity to trigger an Olympic peace of some sort has been largely discredited by the invasion of Crimea and the proxy war fuelled by Russia in Ukraine, just days after the Winter Olympic Games in Sochi came to a close. The Secretary General of the UN himself stated in a recent (20 October 2014) report to the General Assembly that “[s]adly, there is no evidence of any initiative by warring parties either to unilaterally observe the Olympic Truce or to promote its mutual observation”. The Olympic truce myth has been a collective exercise of wishful prophesizing with no self-fulfilling effect in sight. Furthermore, the UN General Assembly reaffirms “that any form of discrimination is incompatible with belonging to the Olympic movement”, but the latest Games in Sochi have also shown that the IOC is not sanguine, to say the least, in fighting discriminatory laws adopted by Olympic host countries. In fact, exactly on this matter, the IOC has announced already that it does not “have a mandate to impose measures on sovereign States outside its own fields”. This is surprising, as the IOC seems to consider it has a mandate to impose (via the host city contract) a string of measures on sovereign States covering core public policies (tax, infrastructure or intellectual property rights). Why does it not include the fight against all sorts of discrimination in the "fields" it deems its own? The latest draft of the Host city contract for the 2022 Winter Games comprises a reference to the “prohibition of any form of discrimination”, but it is still deprived of real legal teeth. This relationship between the IOC and the UN is more of a liaisons dangereuse than a “beautiful friendship”. The UN should be weary to associate itself too closely with an institution characterised by a lack of transparency, internal democracy and accountability. Sure, one could hope that this friendship would lead the IOC to reform itself, but its readiness to do so is rather enhanced by public outrage and the threats of legal challenges than warm accolades. There is a regrettable paradox here: While the global citizenry is loudly contesting the IOC and FIFA, it is à la mode for international organisations to align themselves politically with them.